My mom passed away peacefully in the arms of our family as we sang worship songs to usher her into her eternal place in Heaven. 21 hours earlier, she suffered a massive stroke in her brain and the doctors did all they could to keep her on life support until we could all get there to see her. While sitting in the ICU holding her hand, kissing her forehead and shedding a lot of tears, I decided I needed to write her a letter, which I want to share with you below. I read it aloud to her and to everyone gathered around her bed. It took me a long time to get through all the tears but at the end I had made peace with whatever was going to happen next. I share this intimate and personal letter with you in hopes of honoring the incredible human being my mom was. “Mom, I can’t believe I am sitting here watching you lay motionless without the ability to do anything but pray and write out my thoughts. For 32 years, you have been my rock, the woman I looked up to. I know life is like a vapor and I thank God everyday for breath and health for all our family but experiencing this firsthand, with no warning, is more painful and raw than I could have ever imagined. health, never having gone to the hospital except to deliver your 4 children. I can only remember one or two times in my life that you had more than a cold. I know we made you proud because you would tell us almost everyday. I have no regrets about our relationship. I am thankful for the nearly daily phone calls we would have in my 20s and early 30s, all the trips to and from Madison and telling you I loved you and you telling me the same. You were the most amazing wife for dad. You have set a very high standard on who I will marry someday, that is probably why I am still single at 32. If this is your time to meet Jesus (I hope it is not quite yet), we will take care of dad and make sure he has everything he needs, maybe even a chef. I can’t change what is happening but I can step up my game and be a bigger man and extend your legacy here on earth. You are the most spiritual woman I have ever met and showed Jesus’s love each and every day. You inspired me to inspire others. While watching my mom quietly sleep, I kept asking the question how can her legacy continue on? 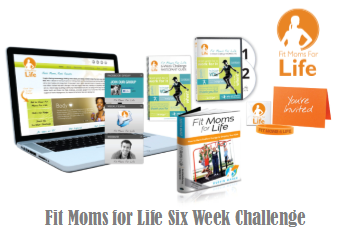 She believed so much in the Transformation Center and all of the Fit Moms for Life programs. Then it hit me, let’s create the Joy “Fit Moms” Scholarship fund to help others who desperately want and need what the TC and FM4L have to offer. I have set up a GoFundMe page in the hopes of raising at least $15,000 and hopefully much more. These funds will be used to give partial scholarships to the TC to those who apply. I’m still blown away by your great questions, comments, etc. I thought I’d take a minute to answer some of the most common questions I’ve been getting. When will the live coaching calls start? 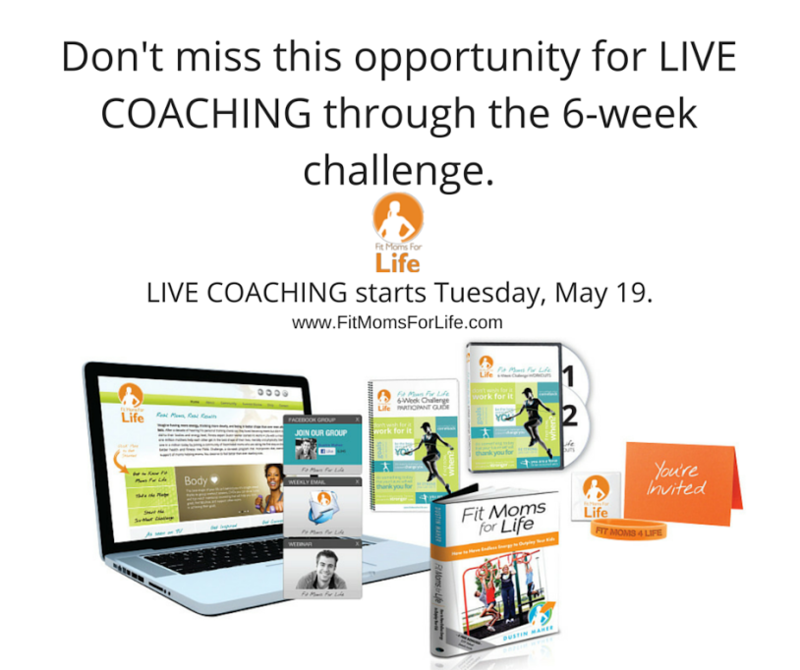 The live coaching group will meet on Tuesdays, starting on May 19. Emily will reach out to participants to set a time for the calls that works for the greatest number of people. What will the coaching be like and how will it help me succeed? We are purposely limiting the size of this coaching group so that Emily can give individual attention to everyone who signs up. She will be asking you about your goals for the program and how she can best help you, so it may look a little different for everyone. At a minimum, there will be weekly group calls, regular email/text check-ins, food journal review, etc. Our goal is to give you the tools and the accountability to help you really make the most of the program over the next 6 weeks and get on track for life. I am very out of shape and nervous to try an exercise program. I have seen infomercials for workouts that seem really hard. I am afraid of hurting myself. Will this program work for someone who has considerable weight to lose and hasn’t exercised in over a decade? Yes! Having worked with so many people, we have perfected the art of creating workouts that are gentle enough for the beginner yet challenging enough for the avid exerciser. The secret is in variable resistance, and exercise modification and progression. We have people needing to lose 200 lbs doing the workouts. Two workouts are body weight only. The others only require a set of hand weights (8-15 lbs) and a stability ball (55cm-65cm). If you are ready to start your own transformation, and get an incredible level of support to ensure your success, click here now. Every story I hear from a client inspires me to push harder in my own workouts and in my own life. I would like to introduce you to Mallory who has been at the Fit Moms Transformation Center for just over 3 months. 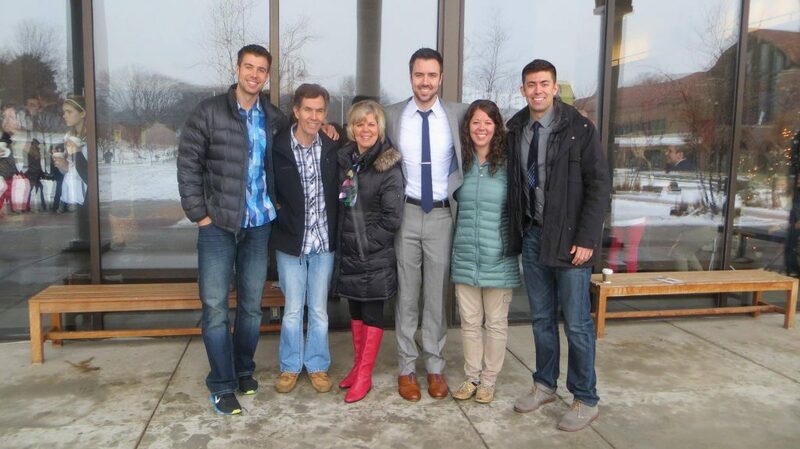 Don’t let her small stature fool you, she is a mom on a mission and it has been awesome to see her journey. Check out her story below and then I will come back at the end with a couple observations. Share a little bit about yourself and your background with your health and fitness. I’m a Pediatric RN, mommy and wife. 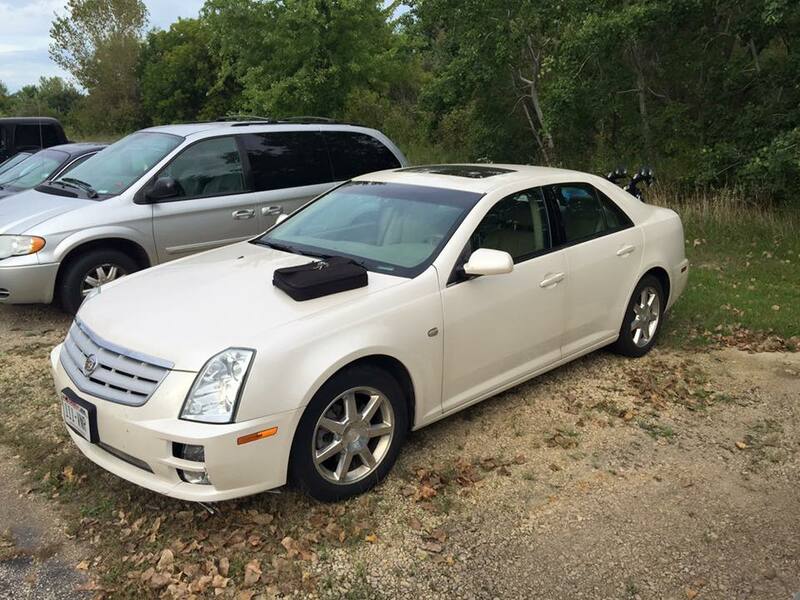 I grew up in a large family on a small farm in Northern WI. Money was tight growing up and therefore our diet resembled my parents budget. My mom did her best to make healthy meals with what she had. We had a garden and raised our own beef. I learned that meals needed lots of meat and very little green stuff, as my dad referred to it as “cow food” or “grass”. My mom always attempted to have a vegetable and/or fruit with every meal despite my fathers view point. 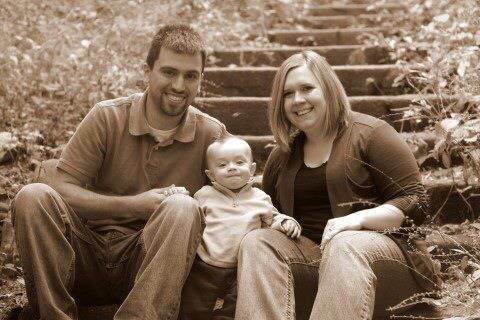 After leaving the farm I married my high school sweetheart Nick and we brought two beautiful boys into the world. He has loved me at my heaviest and through this whole health journey. I was moderately active all the way through high school but always struggled with keeping weight off. At 17 I became the manager at a fast food restaurant and increased my poor eating habits. After high school I became lazy, it was easier to eat out then cook. Also whenever I was stressed or upset I found comfort in food. The stress of nursing school and the birth of my first son Gavin brought me to the heaviest, and it was eye opening. I was sitting at 210lbs on my 5ft frame. While looking at our beautiful family picture I only felt shame. In the summer of 2012 after graduating from nursing school I decided it was time to lose the weight. My husband would ask to do active things and I would make excuses, I didn’t want to be the fat girl with the good looking guy. Physically active things always seemed to come easy to him and I often felt left behind. I made my first goal to just keep up with him. If he was walking fast into a store instead of saying slow down, I tried to keep his pace. This was not an easy feet! I then learned of Couch to 5k and surprised Nick by telling him I downloaded the app and was going to run a 5k. He was supportive right away and joined me. We ran our first 5K spring 2013! I got down to 170lbs by the end of the summer and also found out I was pregnant with my second son Corbin. I gained back most the weight while pregnant and at six months postpartum had made it to 180lbs only to gain back 10bs while breastfeeding. That’s when I heard of Dustin’s Santa Slim Down/Pay to lose challenge, I watched the video about the challenge multiple times and finally built up the courage to tell Nick that I was going to join a community that I had never heard of, drop $150 and go to boot camp. At first he seemed more skeptical then me, but quickly became the supportive husband he has always been. I started the challenge November 30, 2014 weighing 190lbs. And now on March 9, 2015, 100 days later, I am down to 166lbs! Where was your life before being introduced to my program? I had hit a wall and was becoming more frustrated with my weight. I looked back on the summer of 2013 and wondered if I’d ever be able to do it all over again. I honestly was feeling depressed. I had seen many mothers lose the weight after having a baby with just breastfeeding. I didn’t lose, I gained! It is crazy how intensely hungry you are while breastfeeding. How did you hear about my program? I heard about Dustin’s program through a Facebook post on the No Excuse Mom’s Madison’s page. As you were in the program what were you enjoying? What were some of the challenges you had to overcome? I love the community. All of the people I have met and worked out with are encouraging, helpful and friendly. Dustin and the trainers are excellent, I have never felt as if I didn’t belong there. The workouts are intense but the feeling of achievement at the end is worth the burning muscles. At first I had to overcome the little voice in my head telling me I was crazy. On day two when I couldn’t sit on the toilet or walk stairs I was convinced this was the biggest mistake ever… Ouch! But the pain went away and only strength remained, strength I honestly thought I never would have. I can do a real push up now and I actually don’t dread burpees. How is your life different now than it was before being introduced to my program? I have energy and I feel good in my body! I have found myself holding my head higher. My diet has changed and so has my families. We buy fruit and veggies in bulk and limit sweets and added sugars. I’ve been cooking more meals at home and packing my lunch for work so I know what I’m eating. How has the reaction been with your friends and family. Do they treat you differently? Do they try to sabotage your results? How have you handled all of that? My family and friends have commented on my weight loss and most of it has been positive. I have never taken compliments well so it’s something I struggle with. My family does point out when I eat an unhealthy snack but I know that having a cookie on occasion is not going to ruin what I have accomplished. What is your eating like now? The movie Fed Up was an absolute eye opener, I watched it with my husband during the challenge. Within a week we got a babysitter and went on a shopping mission to change the food we keep in our home. We read labels and discussed our overall goal for not only our health, but the health of our boys. We aimed to buy more fresh produce and limit all added sugar. This has been a huge positive change for my family. It has been great having my husband and I on the same page about what we are feeding our family. Lastly your best friend comes up to you and is considering joining the program you were just on. What would you say to them? Come with me and see what it’s about, the community speaks for itself! I think the coolest part of her story was the support and excitement her husband had as she began her journey. Spousal support is the most powerful support you can get, and Mallory is blessed to have it. Like just about everyone who starts one of our programs the first week is brutal and your muscles hurt to the touch, but let Mallory remind you it is only a temporary pain and will only last about a week. Lastly, even though she was bigger starting out, she felt comfortable, safe, and not judged. This is radically different than many places she could have gone to start her journey and what makes the TC and the Fit Moms for Life worldwide community so special. Women supporting each other. Who is your most challenging client to get results for? This is a question I occasionally get asked, and for me, the answer is simple. It is the client with an unsupportive spouse (hardest) or unsupportive family, friends, or coworkers. Basically, the client with the most unhealthy social circle has the hardest time getting the results they want. Because the moment you start losing weight, feeling better, becoming happier, is the same moment your social circle may become envious, jealous, and uncomfortable. Your success forces them to put a mirror up to their own faces and come to grips with the fact that they themselves might NOT be healthy, fit, and/or happy. In turn, they may start self-sabotaging you in the hopes that you will become the old you – the friend/co-worker/spouse that doesn’t bring them discomfort. OR, they may just start to not invite you to social gatherings as a way of punishing you for not fitting their mold anymore. Fear of rejection from loved ones is one of the biggest fears we face and this fear is why we continually go back to our comfortable state with our same group of friends (and even why some people go back into an abusive relationship). This fear of rejection is actually a biological fear and was very important to our survival a long time ago. Way back when, in the cave man (and beyond) days, we had constant threats surrounding us- from predators, the weather, famine etc. Scientists believe that we became “social” because it was the only way for us to survive long term. “Humans evolved over the last few million years in a world filled with risks like large predators and starvation… early humans were probably commonly hunted by a wealth of large predators. One common defense to predation displayed by primates and other animals is to live in groups. The advantages of living in a group probably are the reason why early humans and other large primates evolved to be social, and why we are still social today. Failure to be a part of the social group, getting kicked out, probably spelled doom for early humans. We fear failure because we fear being kicked out of our social group. So how do we overcome this deeply seeded biological fear? The key is to begin to surround yourself with a new group of people that are currently living out the habits that you want to adopt. In time, you will connect with these people and friendships will develop. This way, you don’t have to fully leave some of the other friends you have had for many decades. Although you may find yourself identifying less with these old friends as time goes on and consequently spending less time with them. Without your new circle of friends, this would be devastating, but since you have this new group to connect with, it won’t feel like you are out on your own. I believe adopting a new supportive community is the best, and almost only way, to lose weight, become healthy, and maintain that health long term. For 2015, my team at the Transformation Center came up with the slogan: “Drop your gym and join our community.” This is not to say that gyms are bad or completely ineffective, just that our team at the Transformation Center prides itself on doing a much better job at creating and supporting community building within our walls. Only 20% of America has a gym membership, yet I would estimate at least 90% of the population need guidance and support in making regular exercise and nutrition part of their daily lives. If you live near Madison and aren’t part of our community yet, I would like to invite you to join us. For those of you who can’t be with us in person, we have taken the best of what we do in Madison and packaged it up into a life transforming 6-week program that includes online support. We have about 110 challenge groups around the country that meet in homes, schools and churches. You can join an existing group or start your own and get paid to be part of an incredibly supportive community. I know how hard it can be to change the type of people you associate with. I have had to do this myself on a couple of occasions. It isn’t easy, but it is totally worth it. After looking at the thousands of clients I have personally trained, nearly 100% have at some level embraced our community and invested their time and energy into developing friendships. When your social circle is fit and healthy, the last thing you want to do is skip workouts or consistently eat unhealthy because this behavior may lead to being ostracized, and as far as our human evolution is concerned, that is dangerous to your well being. The other day I shared with you the idea that your environment will trump your willpower long term. Today I want to share 5 things that I have implemented in my own life to reduce the amount of willpower I need to exert to stay lean, healthy and fit. I will finish anything in front of me. This includes the entire bowl of candy, or family sized bag of chips. I will find excuses to skip workouts when I don’t feel like working out, which is most days. I have extreme tendencies, which goes along with #1. 1. I have multiple workout partners so if one is sick, traveling, or unable to make it, I have others who are counting on me to show up. 2. I don’t bring any processed food into my apartment. The exception to this is when I host a party but I make sure the junk leaves my home when the party ends. 3. I don’t purchase liquid calories. I don’t buy soda, juice, coffee, etc. This saves my money and my calories. 4. I don’t drink alcohol. I doubt I would be able to drink responsibly given my tendencies, so I decided to just not start in the first place. 5. My workplace will not offer unhealthy options to my clients or my staff. I have an advantage on this one since I own my place. I won’t even allow my team to bring in a coffee maker. If they want coffee they can get a cup somewhere else. I loved the gym I worked at before opening up the Transformation Center, but the soda vending machine right next to the front desk was really upsetting to me. 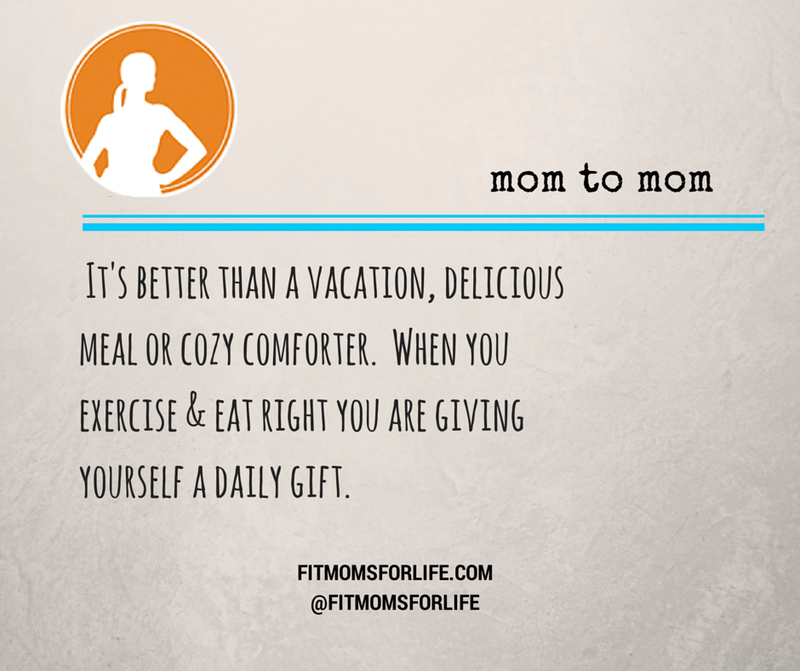 Bonus: I plan all my vacations around physical activities. This ensures that I will be fitter after the vacation and gives me something to train for leading up to it. You might look at my list and say Dustin, you have it easy, you live alone, you are your own boss, and you don’t have kids so it’s easier to control your environment. Sure I might have some advantages, but I know thousands of moms who have been able to make these shifts in their environments to create lasting change, so no excuses! Remember these are just my lists and strategies for staying healthy, fit and lean – take some time to develop some lifestyle hacks that work for you and your life! Did you know that what you eat is responsible for roughly 80 percent of how you look and how you feel? You could exercise every day and, if you are eating a very unhealthy diet, you may still gain weight, have low energy, and perhaps even health problems such as diabetes. Eating healthy food is my second pillar of success and you won’t succeed in the long run without it. Click here for my analysis of a real client’s food journal—it’s a hard look at the typical American diet and how that hurts you. The good news is that, once you understand the basics, it’s easier than it sounds and you won’t have to starve yourself or follow some crazy diet that makes it hard to eat out and keeps you hungry all of the time. You can eat well, feel full and get rid of your cravings by following a few simple rules. Learning how to eat well is the key to losing weight, staying healthy, and feeling amazing. FM4L takes all of the guesswork out of it and makes it easy, with family-tested, kid-approved recipes and meal ideas. Check it out here! Stay tuned for the story of one of my clients who overcame eating disorders and massive health problems with real food, exercise and the support of her family… We are in this together! I recently took a trip to Toronto, and as the flight attendant went through the safety talk, it reminded me of maybe the single most important thing that you can do to ensure your long term success in reaching your goals—whether that is losing weight, feeling better, or setting a good example for your kids. To me, that means that if you don’t take care of yourself—if you don’t put on your own oxygen mask first—you won’t be able to be there for others. So many women, especially moms, put everyone else first. They don’t feel that they deserve to take the time or the money to take care of themselves. They feel guilty doing something for themselves, and they may not feel that they are worth it. But if you don’t take care of yourself, if you let yourself go, then how will you be able to be there for your kids in the long term? What message are you sending to them? Taking that step to put yourself first for once, to believe that you are worth it, is one of the most important things that you can do to set yourself up for success. Join tens of thousands of other women by committing to take care of yourself, starting right now! 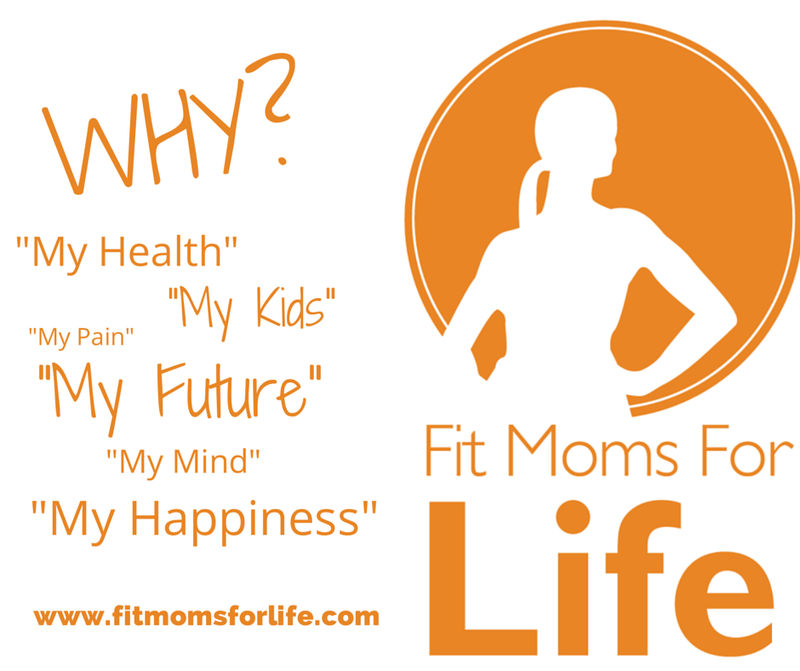 Click here to take our Fit Moms for Life Pledge.